The EW3270ZL premium Eye-care Monitor is a 32-inch QHD (2560x1440) display, utilising a 10-bit AMVA+ panel to combine an enriched 3000:1 colour contrast with BenQ’s innovative eye-care technologies. The EW3270ZL features BenQ’s cutting-edge brightness intelligence technology, first introduced in the EW2775ZH. Brightness intelligence uses a small light sensor to detect the intensity of the lighting conditions in the surrounding environment, and optimises your display performance by automatically and gradually adjusting the brightness of on-screen content to best suit the conditions. The EW3270ZL also features built-in multimedia speakers as well as HDMI, DisplayPort and Mini DisplayPort inputs for multi-device connectivity. Complementing the viewing comfort provided by our brightness technology, Low Blue Light Plus (LBL+) filters out exposure to harmful blue light, which minimises the risk of eye-fatigue and irritation. 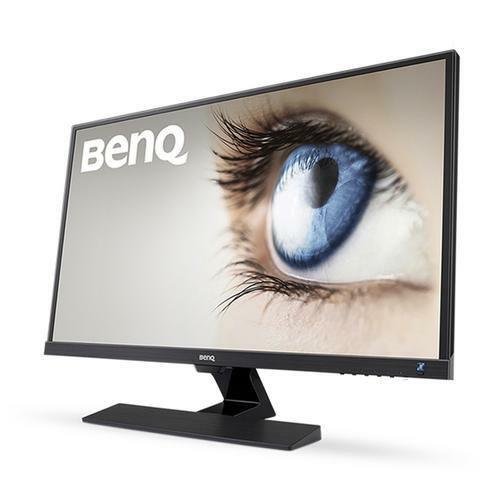 The BenQ EW3270ZL also provides Flicker-Free technology, effectively eliminating eye-strain and vision damage induced by screen flickering. The EW3270ZL also introduces Smart Focus, which is designed to help users maintain concentration on specific content. Smart Focus allows you to pinpoint an area on the screen to remain bright, while dimming the surrounding area, allowing you to focus on your highlighted on-screen content. The recommended retail price for the EW3270ZL is $649. The display is available now at BenQ Resellers.